I won’t be blogging much until early next year. 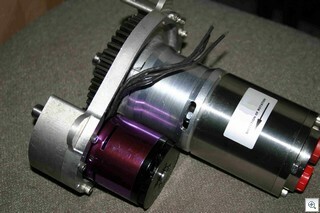 There is a possibility we may static test our new motor sometime between 31st and 4th. I’m looking forward to more progress in 2009. 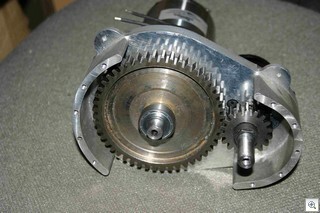 The gear box is 90% done I need to make one more bearing plate, but all the major structure is done. All the rotating parts are done. It’s heavier that I would have liked. When I’m done I will fully disassemble and weigh the individual parts. There is very little I enjoy more than learning something new. 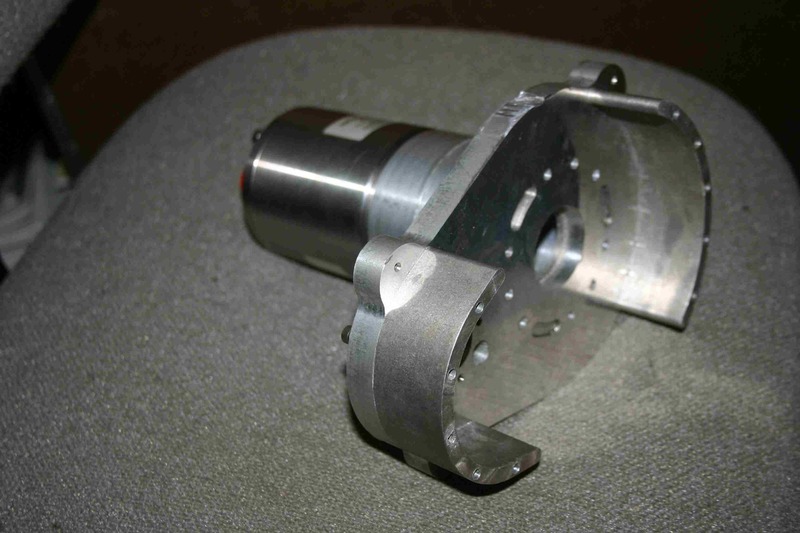 A traditional aerospace project is an effort involving thousands of specialties. This offers the opportunity to learn thousands of specialties. 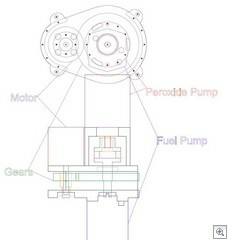 I have received my Peroxide compatible pump, fuel pump, and motor. 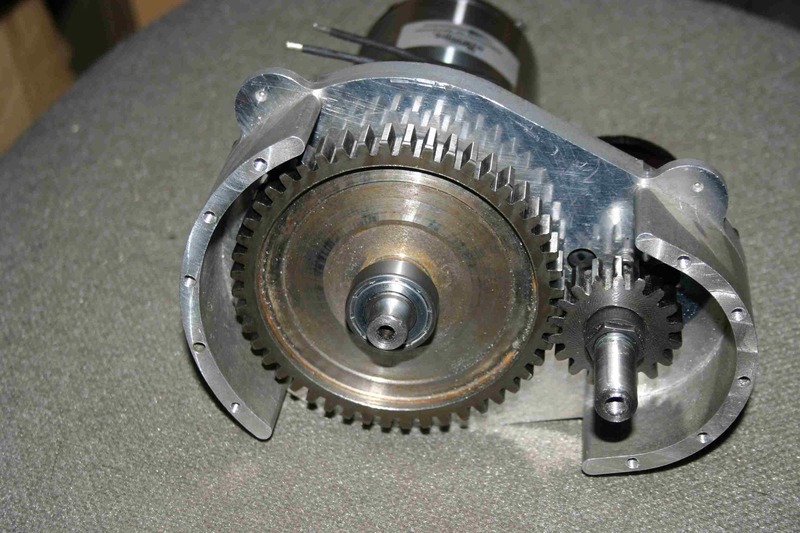 I’m in the process of assembling a gear box. 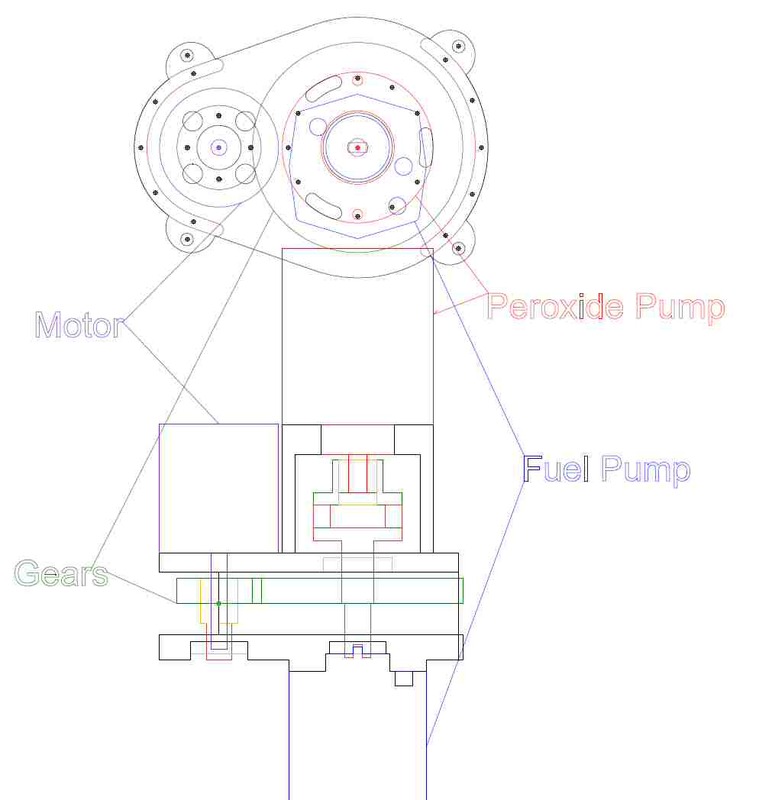 I’ve never built a gear box before so one gets to learn new terms like pressure angle and involute. As well as use new tools.. I’m continuously impressed with the variety of free tools available on the web. I’d gathered all the shafts, bearings, gears, parts and etc in to a big pile on my desk. I spent the better part of yesterday laying out the gear box. I’ve machined the top base plate, the adaptor that joins the peroxide pump to the base plate and the curved offset spacers. (Only shown in top view the semi circular arcs with screw holes ). 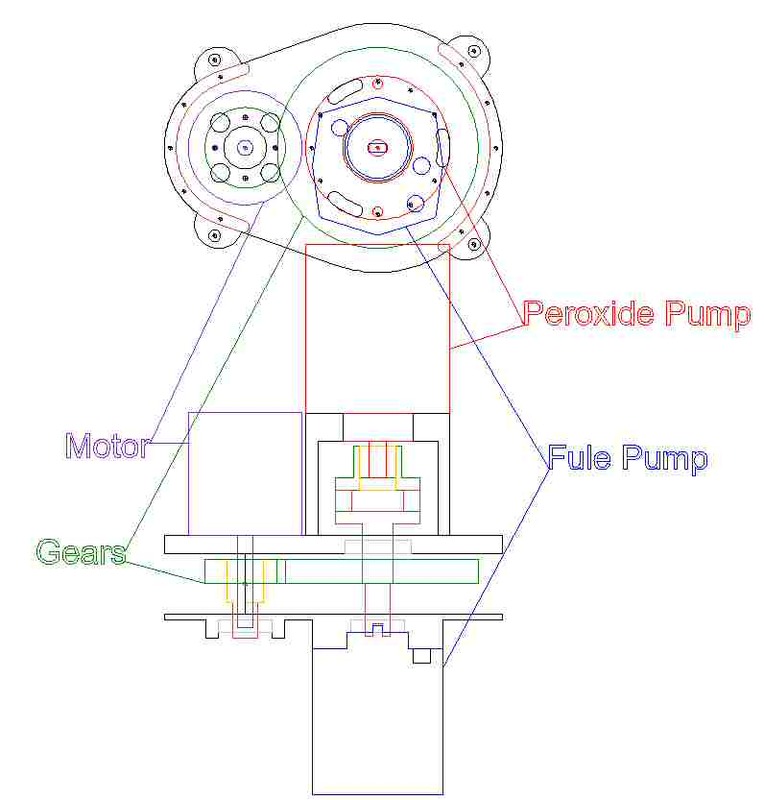 Today I’m going to try and build the complicated shaft that connects the two pumps to each other and to the gear drive. I’m also going to finish bore the gears and lighten them. If all goes really well I may even get to a full trial assembly. 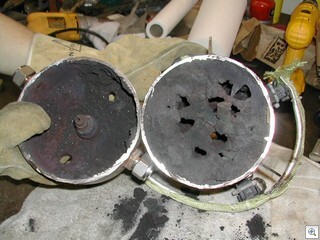 This shows the peroxide pump and the aluminum adaptor connecting it to the main plate. 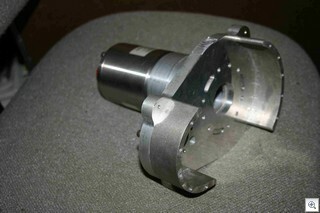 It also shows the curved spacers. Monday Morning update. 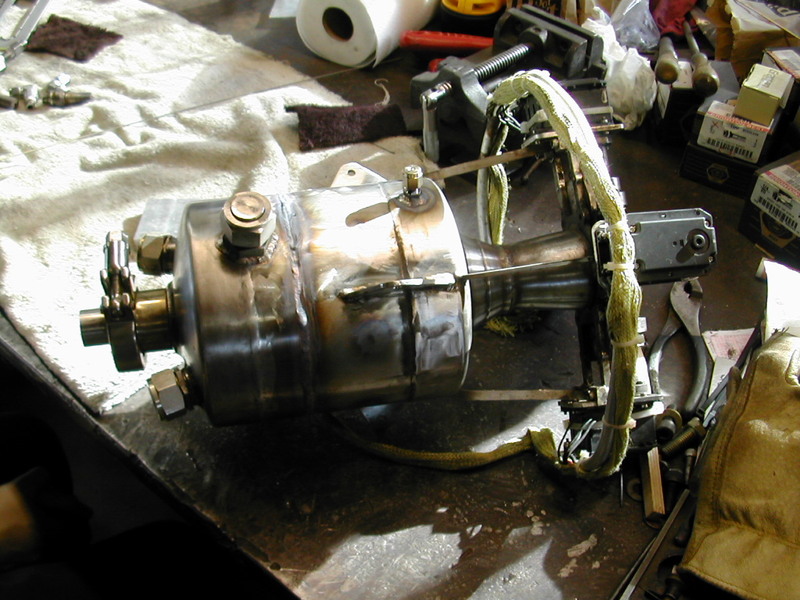 I machined the shaft and couplers for the pump side , I also lightened he commercial gears and bored the one that needed bored. John Carmack sent me several catalyst styles, one kind was a pourable ring catalyst from cpilink.com It looks like the picture on the right here. So we had some stainless plates water jet cut by Thunderbird Water Jet to hold the catalyst rings, and we added a sintered stainless diffuser plate. and reassembled the motor. When we first cut the motor apart the inside was kind of nasty with permangenate residue. 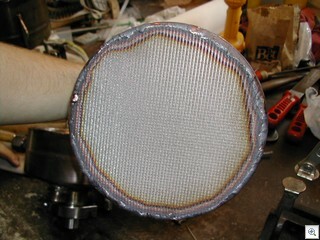 A picture of the sintered diffuser plate welded to the support ring. 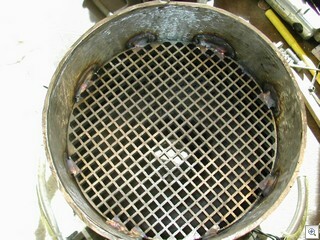 A view from the other side as it is welded into the top of the motor. 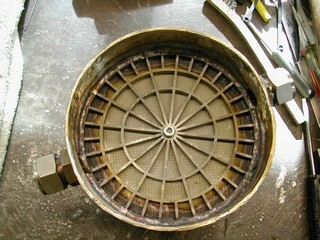 A view of the waterjet cut bottom support plate. 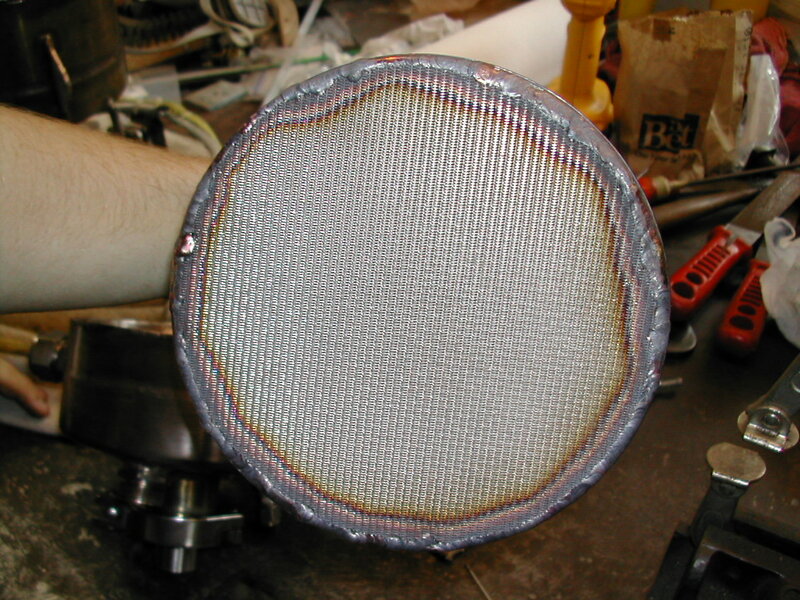 The area between the two plates is filled with the ring catalyst. 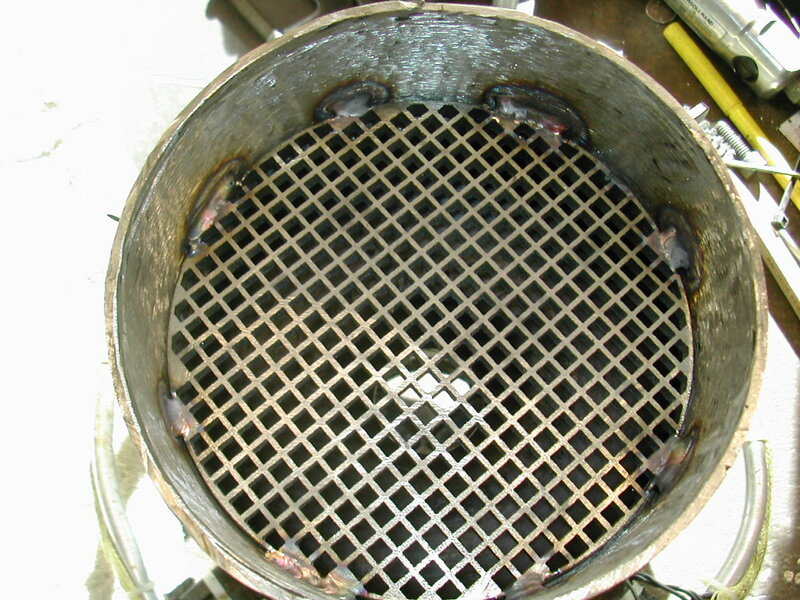 The fittings on the side as shown on the view of the motor top allow us to shake the catalyst out and replace it. The reassembled motor ready for testing…. soon. The new FAA amateur rules were released today. It looks like they will be officially published on the 4th and become effective on Feb 2nd. Since this removes the burn time limit and requires nothing more than ATC notification for flights in uncontrolled airspace more than 5 miles from an airport, it basically means ZERO paperwork for the testing and development of a hovering LLC class vehicle that stays under 200K lb/secs of total impulse. I’m practically giddy!